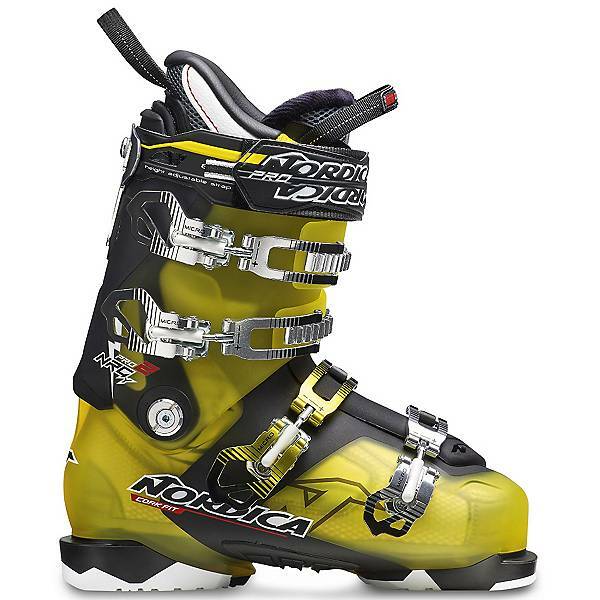 Nrgy ski boots incorporate the use of cork in their liners. As well as being a great natural insulator cork provides the greatest transmission of power from boot to ski. The specially engineered cork and resin compound integrated into the liner wraps the foot in comfort and performance. These boots can be heat moulded in store for the perfect fit. 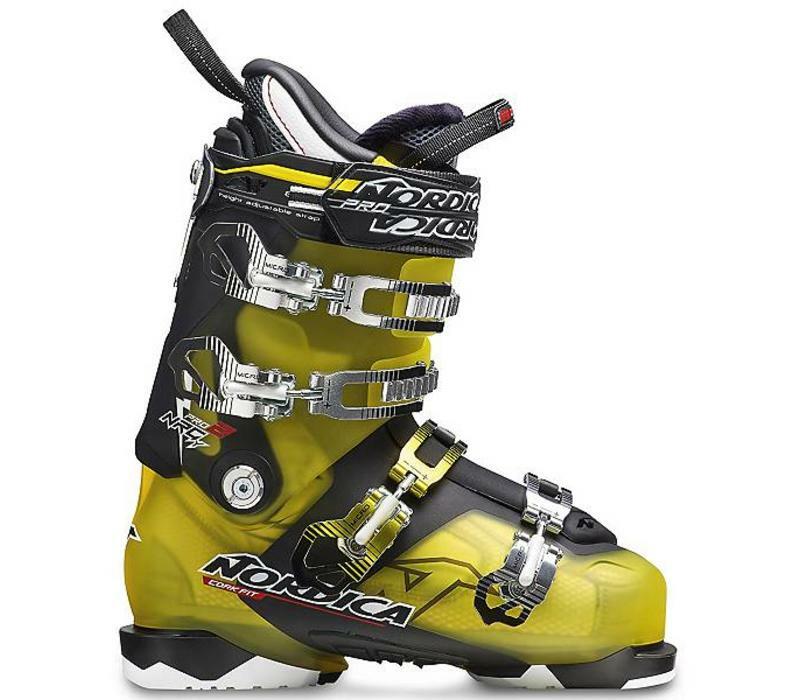 The Nrgy Pro 2 is for advanced/expert skiers and comes in Yellow/Black. Built from the ground up, featuring proven performance and extraordinary fit, Nordica’s new NRGY Pro 2 is where superior construction meets unmatched response. Fine-tuned with mouldable CORK Fit liner technology, screwed canting and the most comfortable liner and toebox, the Pro 2 is pure pleasure for expert and advanced skiers.